They are the result of mixing two Primary Colors together in equal parts. You can find these colors in different brands under different names. In Golden Acrylics, they would be called Permanent Green Light, Vat Orange, Dioxazine Purple. Other brands may have the same or different names so you really have to experiment with the colors you get, or have, to see if they do what you want to achieve. These are examples of colors resulting from a “cool” palette. Notice that the underlying color in all of them is “blue” which cools down all the colors. 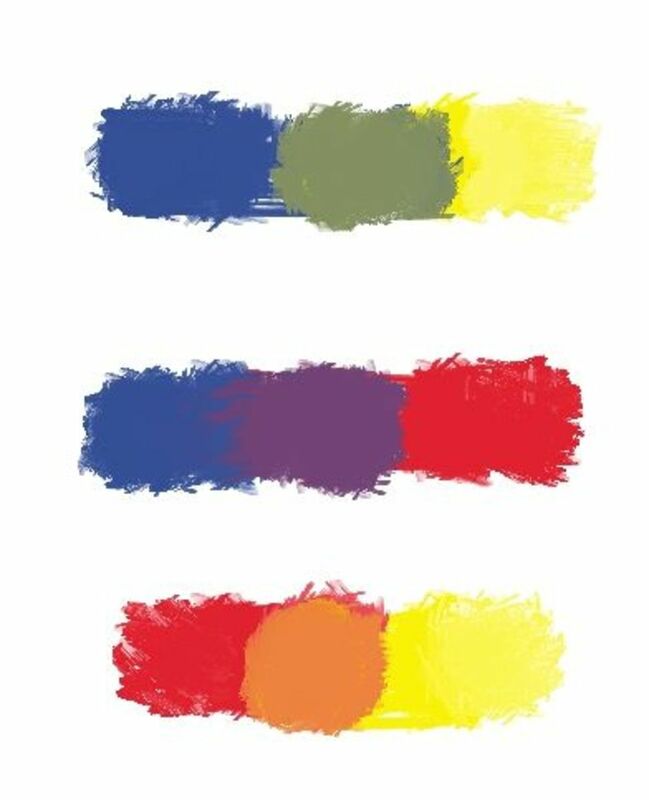 These are examples of colors from a “warm” palette. Notice that the underlying color here is yellow which is altering the colors to make them warmer.